Both Erdogan and Pope Francis are opposed to US President Donald Trump’s decision to recognise Jerusalem as the capital of Israel, which many US allies say could doom Middle East peace efforts. An authorised demonstration of about 150 people including Kurds and their supporters outside nearby Castel Sant’Angelo, a fortress on the banks of the River Tiber, turned violent when police in riot gear pushed back shouting and shoving protesters who tried to break through their lines. At least one demonstrator was injured, a witness said. 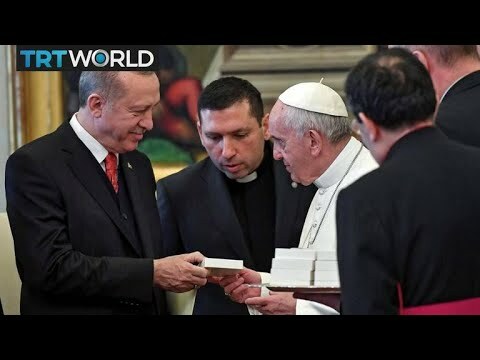 Some 3,500 police and security forces were on duty in Rome and authorities declared a no-go area for unauthorised demonstrations that included the Vatican, Erdogan’s hotel and Italian palaces where he is meeting the president and prime minister.